But first of all, it starts with ordering the system. I have to admit that I was a little bit skeptical. In the past I already ordered things from abroad, but not in such a price range. I paid 184 euros for the device and it took three weeks till I finally got it in my hands – so you need to calm down and wait. It’s not amazon prime now with same day delivery. From other users I heard that they improved shipping, tracking and I think they started working together with other distributors. After the postman left the house I couldn’t wait to test it. The box is very tiny and it comes with a custom charging cable, adhesive tape and the MiaoMiao Transmitter. I only charged it for a few minutes, because I really wanted to see if it’s working. To connect and receive the data I needed an app that is not officially in the App Store. Depending on your operating system you can use Apps like Spike, xdrip or Glimp. For Spike, which is the app that I use. You need to be invited with your iCloud E-Mail and can then download the App via another App called Testflight. You can go to their website and see more details. It’s easier than it sounds like. The setup is straightforward – I simply attached the MiaoMiao Transmitter to the FreeStyle Libre with the adhesive sticker that comes with the system. Then activated bluetooth and open the Spike App. 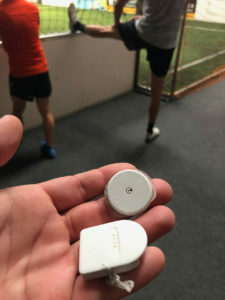 Finally, I selected the MiaoMiao as transmitter and it connected automatically. That’s all. After a while I asked myself what’s with the old FreeStyle Libre scanner? Yes, you can still use it. No problem at all. And if you scan the Libre with your NFC enabled phone within 30 min after you attached the sensor you can use your phone too. That means I’m very flexible with that system what I like a lot. For example, I could attach it only at night to get alarms. Oh yes alarms, I didn’t mention that. If you haven’t had a Dexcom, Enlite or Eversense Sensor before you missed something very helpful. Instead of actively scanning my sensor and constantly thinking about it. I just get an alert before I’m above or below my target range and can inject insulin or take sugar. In addition to that I also get the values on my Apple Watch. This is one of the things I ever dreamed of. That was also possible with the Blucon Transmitter, but MiaoMiao is different! I’m not sure how they did it, but the battery life of this tiny device is just incredible. It last about three weeks and sometimes even longer – my apple watch is dead after a single day. On top of this the MiaoMiao is rechargeable and that is a big point. Wasting a battery for the Blucon every two weeks was a nightmare. A second advantage for me is the product design. Some people like the way how the blucon looks like, but when I sleep on my arm that can be painful and therefore I prefer the MiaoMiao. The height and length are bigger but the height of the Blucon was the disturbing part for me. The third thing that I realized is the bluetooth connection. I’m not sure if it’s the software or hardware side that works better, but I don’t have to push any reset buttons. If the connections get lost – all I need to do is open the app again and it connects. This happens three to four times a week. Which was also the case with Dexcom or Eversense. 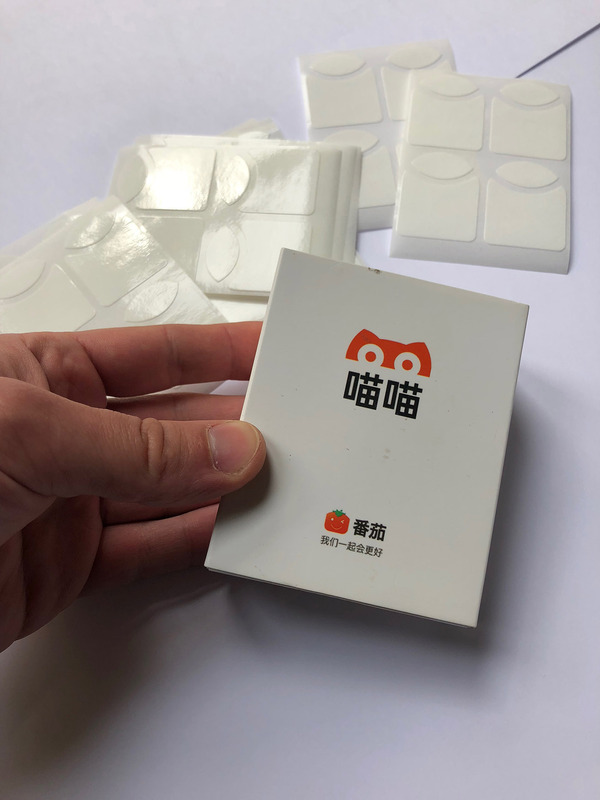 One last thing that I want to share is about the adhesive stickers that come with the Transmitter. At the beginning I had no problem with them, but after a while my skin reacted wired to the adhesive. So, I only used the stickers on the tip of the Transmitter. The Miao Miao is now only attached to the plastic of the Libre and not to my skin. A disadvantage is that it can fall of easier. Especially when I do sport or transpire a lot e.g. in summer. But in that case, I used kinesio tape which I could quickly change and where I know that I’m not allergic to the adhesive. But it’s still adhesive on my skin and therefore I designed a MiaoMiao holder without adhesive. It’s available at Shapeways. I will definitely wear the MiaoMiao further and because I can recommend it I got a 10 dollar off coupon for you. Use the code ‘dialifehacks’ on their website miaomiao.cool to save money. The text above is no medical advice. I used the device on my own risk. All Information is based on my own experience. Hi ich habe an dich eine Frage. In letzter Zeit habe ich in der Nacht Hypos, welche ich nicht mehr bemerke. Deshalb suche ich nach einer Lösung und bin auf deinen Beitrag gestoßen. Ich besitze ein Android Handy und keine Watch. Ist es trotzdem sinnvoll und möglich sich miaomiao zu bestellen? Oder benötigt man die Watch? GlG Julia und danke für deinen Blog! Hi Julia, die Watch ist nicht nötig und ein Android Smartphone mit Bluetooth 4.0 reicht völlig aus. Super vielen Dank Kevin. Dann werde ich mir das mal bestellen. Das heißt man kann einstellen, dass der Alarm dann ans Handy kommt? Mache ich, dankeschön 🙂 schon arg wieviel Geld man hier zahlen muss, bloß weil man am Leben bleiben möchte…. Hallo Julia, leider nicht – ich habe bisher nur die Apple Watch genutzt. Does this device ‘expire’ ? As in, compare to a DexCom transmitter that expires after 3-months. I’m weighing my overall costs of Libre with MiaoMiao as a CGM vs DexCom 5. Clarity on this would be amazing!! The Libre expire after two weeks as usual. The MiaoMiao doesn’t expire because it is rechargeable. Hi Kevin, regarding skin irritation. I have very sensitive skin and have always used Torbot SkinTac to prepare my skin before applying a Freestyle Sensor. It seems to provide a barrier to the adhesive as well as a sticky base for the adhesive to bond to. 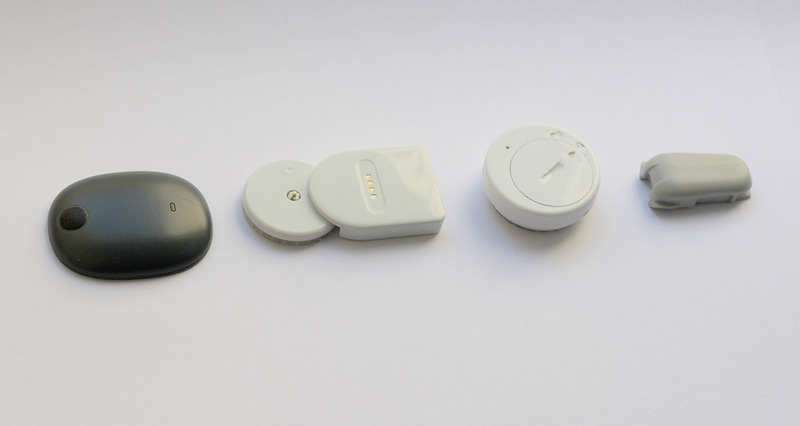 I have never had any irritation or have a sensor fall off. I’m in Canada and the spike app isn’t available yet. How do I request the redemption code to access the app on my Iphone via TestFlight? Is this on the spike website I request this? Yes it might take some days. I’m in Canada too, just head to https://spike-app.com and fill in the form to request access. You’ll get an invite to Testflight where you can download the app. Now I’m just waiting to pull the trigger on ordering my MiaoMiao. If you order (or have already ordered) I’m curious to know how long it took to receive. I am in the US (Pennsylvania)…it took19 days for me to receive it. Super, Dein Bericht. Danke dafür. Ich habe den Miao Miao gekauft und möchte Spike auf meinem iPhone installieren. Die Seite spike-App.com meldet jedoch seit einiger Zeit nur „Maintainance Mode“. Kannst Du mir irgendwie helfen, an die Spike-App zu kommen? Vielleicht sogar Deine Einladung weiterreichen? Hi Christoph, freut mich. Ich wüsste nicht wie ich die Einladung weiterleiten kann. Die Entwickler müssen deine E-Mail hinterlegen. Ich denke sie haben einfach sehr viele Anfragen oder veröffentlichen ein Update. Tut mir leid, es gibt auf Facebook eine Gruppe zur Spike App vllt kannst du dort fragen. Hi, du meinst der Libre Sensor funktioniert nicht mehr? Ja genau. Es gab in der früh eine Fehlermeldung des Sensors als ich mit dem Messgerät messen wollte. Und dann verlangte es einen neuen sensor. Auf glimp fing der BZ ab 4 Uhr rapide zu fallen an bis er bei 0 war. Bekam aber auch keine Benachrichtigungen per glimp…. Hello. Thank you for your blog! After coming upon it, I purchased the device immediately. I received my device yesterday and cannot seem to make it functional. I have tried with four different smart phones. It looks as though Spike is not available currently and it does not continuously read the device on Glimp. Also, it is unclear to me how to set alarms. Any help you can give would be greatly appreciated. Yes Spike is currently not available. The Spike Facebook Group has more information and as I remember it should be back online in about a week. I have no experience with Glimp. Have you tried xdrip+? For at least 2 weeks now the spike-app.com website is not available. Having my Miao Miao I am waiting and waiting….. I have not yet tried xdrip+…upon my review of, it is a little daunting to me. I imagine that I will try to take that on this weekend. Spike still is not available. I am urgently waiting, because it is the only App I found connecting MiaoMiao with the iPhone. For the moment I use Glimp with a Samsung S4 phone. Yes it works, but it is kind of “bumpy” to operate. xdrip+ is no longer available…. Invitations will reopen this Saturday. Thank you everyone for all your patience. We’re almost there! ? I’m using a Fitbit Versa watch along with watchfaces my husband wrote. They are free and available on the watchface “store”: Simple CGM and Orbits NS (for Night Scout). I’ve got the Libre/MiaoMiao talking to Spike on iPhone plus the Versa. Hi can you explain better how to install spike through the flight app? wir haben MiaoMiao für unsere kleine Tochter gekauft und bereits mittels xdrip+ (android-Smartphone) in Betrieb genommen. Sowohl meine Frau, als auch ich besitzen ein iPhone. Hierauf installierten wir die App spike. Die Einstellungen die in beiden Apps vorgenommen werden müssen hinsichtlich „master“ und „follower“ sind mir grundsätzlich bekannt – trotzdem bekomme ich es nicht hin, was m. E. an der mongodb-URL liegt. 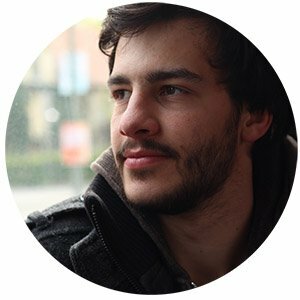 Hi Miguel, funktioniert Nightscout denn bei dir? First of all, thanks for all the good info you put out on our page!!! As a newbie to DT1 it has given me a lot of good tips. How do you start a new libre sensor, by the libre reader or other method? Are you able to use the libre reader, your phone and the Miaomiao as readers on one libre sensor? The MiaoMiao can be attached anytime and it automatically sends the data to spike. You can still scan with the Libre Reader or with your NFC Phone. Can I follow my child throughout the day with this app, or can they be the only one who gets the data? This would be the only reason for me not switching from Dexcom. if you know how to use Nightscout you can follow. Shouldn’t you disclose in your article that in addition to the $10.00 people get as a discount with the Miao Miao for using your code above, you personally also get 6% of that person’s purchase amount? And also that the 6% you get back doesn’t affect your opinion/review of the device? I mean I agree with you that the Miao Miao is probably the better third party device versus Blucon, but for all I know that piece of financial return information could very well affect the quality of your opinion in your review and endorsing the Miao Miao because you stand to gain by having more people use the code. Just asking for some transparency/disclosure so readers know…. Hi Rob, there are no strings attached. It’s no affiliate and I don’t get money for the discount code. I asked for the discount because I think it’s really expensive. Ok. It’s just on the Miao Miao site it says that you can get a $10 coupon for someone and if they use your referral code then you get 6% of the friend’s purchase amount. Maybe that isn’t the case in this instance, just was asking/wondering after I read your article. Otherwise, the article was very helpful. And I agree, it is pretty darn expensive for some otherwise simplistic third party tech that can’t be super expensive to make, but at least the battery is rechargeable…. vielen Dank für dein Engagement. Die Beiträge sind wirklich sehr informativ. Vielleicht kannst du mir bei einer Frage behilflich sein.Meine Tochter (10) spielt Eishockey. Wie weit kann Miaomiao funken da sie das Handy ja nicht mit auf das Eis nehmen kann. Vielen lieben Dank im Voraus. es läuft über Bluetooth, daher ist die Reichweite auf ca. 10 Meter beschränkt. Thanks for that and for your excellent blog. Hi David, I guess there is no smart watch with such a good battery-life. At the moment I’m not sure if there is any app / watch that runs as standalone with miamiao. Maybe another blog visitor can help. I would like to know it too. Hi Kevin, with the Freestyle Libre 2 about to be released with Bluetooth and alarms built in (see Abbott press release link below), does this mean MiaoMiao / Blucon transmitters are no longer required to get continuous data pushed without scanning? Do you know if the Freestyle Libre 2 will work with Spike app or if this is required anymore? actually I’m not sure. I always use my phone to activate the Libre. I can do a test next time. Yes, I used the BluCon. It worked but had two issues with it. The connection was not stable and it was very bulky especially at night I ripped it off a few times. Leider funktioniert der Sensor nicht einwandfrei. Der Sensor wird oft nicht gefunden und er wartet, wenn man den Sensor neu startet auf Transmitter -Daten. Hast du einen Tipp? Hi Andrea, wenn der Transmitter nicht ganz auf dem Libre ist kann es zu Übertragungsproblemen kommen. Evtl. mal den Transmitter komplett aufladen. Wir haben kein Problem bei der Übertragung, sondern der Sensor lässt sich über Bluetooth nicht mit dem Handy koppeln. Manchmal funktioniert es dann, wenn man mit xDrip+ “Bluetooth scan” durchführt warum es funktioniert, das wissen wir nicht. Okay habt ihr mal versucht den Transmitter direkt über die Android Einstellungen / Bluetooth zu suchen und zu koppeln? Ja haben wir – lässt sich aber nicht koppeln ? Hello, I’ve purchased the MiaoMiao transmitter but didn’t receive it yet. I was wondering if I will need to activate the transmitter with a new sensor or will it work immediately on a sensor already in use? Do you happen to know if it’s possible to attach the miaomiao (upside down) on top of the sensor (or sideways) rather than underneath it – I would prefer that it would be less visible to others and below the sensor can be seen more easily. Is there any problem with that? In fact, can the libre sensor be attached to anywhere else on the body than the upper arm e.g. the leg? That would also allow it to be more concealed. Thanks for your help and for the amazing blog! Hi, ich habe es gerade getestet. Funktioniert aktuell noch nicht. This will be the second battery replacement for my phone. So far so good. As with all my phones, if you don’t use it the battery life is great. 🙂 Seriously though — it is significantly better than the one I took out of it that was dying. Now I can have a texting conversation without losing 50% of the battery by time I’m done. Wir haben seit ca. 2 Monaten den Miaomiao – anfangs hat er sehr unregelmäßig funktioniert und teilweise gar nicht – dachten der Sensor sei kaputt. Dann habe ich einen IT-Fachmann zu Rate gezogen – die Installation hat sehr kompliziert ausgesehen, viele Foren wurden befragt – aber jetzt funktioniert er seit ca 4 Wochen einwandfrei. Nach 1,5 Jahren ist es mit den schlaflosen Nächten vorbei. Ich kann jederzeit auch auf meinem Handy mitschauen, wie die Werte meiner Tochter währen der Nacht sind, ohne dass ich messen gehen muss – einfach super! wie drücke ich die Spike Daten aus. Brauche ich ein weiteres Programm . Spike selbst erstellt meines Wissens keine Berichte. Mit Nightscout geht es aber. Hi, do you know if you can connect multiple devices to it? IE I have an iPad and an iPhone. I would like to have my iPad on my desk with the info on but not have to keep reconnecting if i want to go out without my iPad to use on my iPhone. Ich habe mir den Miaomiao vor drei Tagen bestellt. Ich glaube, dass der aus China kommt. Das wird wohl etwas dauern 🙁 Nun Habe ich mal eine Frage bezüglich der Apple Watch. Ich besitze das iPhone 7 und die Apple Watch Series 2. Ist es möglich, den aktuellen Wert später von der Uhr abzulesen, ohne dass mein iPhone den Kontakt zum Miaomiao hat? Manchmal ist mein iPhone nicht immer bei mir.Ich hatte mal irgendwo gelesen, dass das funktioniert, bin mir aber nicht mehr sicher und vielleicht benötigt man ja auch die Apple Watch Series 3 oder 4??? Außerdem möchte ich dann wahrscheinlich die Spike App nutzen, wo man sich wohl irgendwie anmelden muß? Was ist denn überhaupt der Unterschied zu der tomato App? Vielen herzlichen Dank schonmal für eine Antwort. Hi Silke, ohne iPhone in der Nähe geht es leider nicht. Vermutlich würde es die Batterie der Watch auch nicht lange mitmachen. Du kannst dir einen Alarm bei Signalverlust ausgeben lassen und die Werte ansehen wenn du wieder in Reichweite bist. Ob Apple Watch 1 2 3 oder 4 ist dabei momentan egal. Die Tomato App ist von dem Hersteller der auch den Transmitter produziert, diese habe ich nie ausprobiert. Spike ist von anderen App-Entwicklern und kann über diese Seite bezogen werden: https://spike-app.com Sie wird stetig weiterentwickelt und funktioniert gut mit dem Transmitter. Danke Kevin! für die Antwort. Habe mir jetzt schon mal die Spike App geladen. War etwas zwicklig, aber ich habs. Dann geht das mit der Uhr eben nicht ganz so, wie ich gedacht habe. bin neu hier, beschäftige mich mit der Libre Version 1 oder Version 2 meine Kasse würde es bezahlen. Möchte mir auch das Miaomiao bestellen. Lauft die Spike App auch auf meinem Samsung S 9 Plus bzw. auf Android? Was ist der maßgebliche Unterschied zwischen Libre Version 1 und Version 2 außer dem Alarm bei Über-oder Unterzuckerung? Was sind die maßgeblichen Unterschiede von Libre Version 1 zu Version 2 außer dem Alarm bei Unter-bzw. Überzuckerung? Hello there, nice review. I just ordered the miao as you suggested. Can you please tell me what are the next steps to connect my iphone and apple watch? Thank you. have you installed the spike app? Hi, does the miaomiao work with the 14 day sensors? I was told they only support the 10 day sensors since the logic on the 14 has changed. Thanks. Ich habe sie in die Komplikationen eingefügt, sie ist aber bei den Einstellungen eines Zifferblatts oft nicht in der Selektion aufgeführt. Hat jemand einen Tipp oder eine Idee? Das ist wirklich schon eine Weile her. Evtl. kannst du das Geld über PayPal zubekommen?! Ich drücke die Daumen, dass der Transmitter evtl. doch noch geliefert wird. My girlfriend is a Type 1 diabetic and got the Freestyle Libre and then purchased the Miao Miao and downloaded the Spike CGM app and we got the Miao Miao to connect to the Spike app but we can’t get it to give reasons and can’t figure out what to do. Anyone have any info or help that might get us in the right direction for her? Thank you in advance for any help. I am in the UK and been using the Libre for a couple of weeks and also looking at maybe using the Miao Miao but all very new to me. What would be the best App to use with Libre and Miao Miao and are they easy to use as I keep seeing posts about Spike ???? In regards to a Smartwatch can you only use an Apple Smartwatch as I only have a Fitbit Versa at the moment with an Android phone ? I like the Libre/Miao Miao Holder that you designed but if I order would I need to pay Customs Tax etc as I live in the UK ? 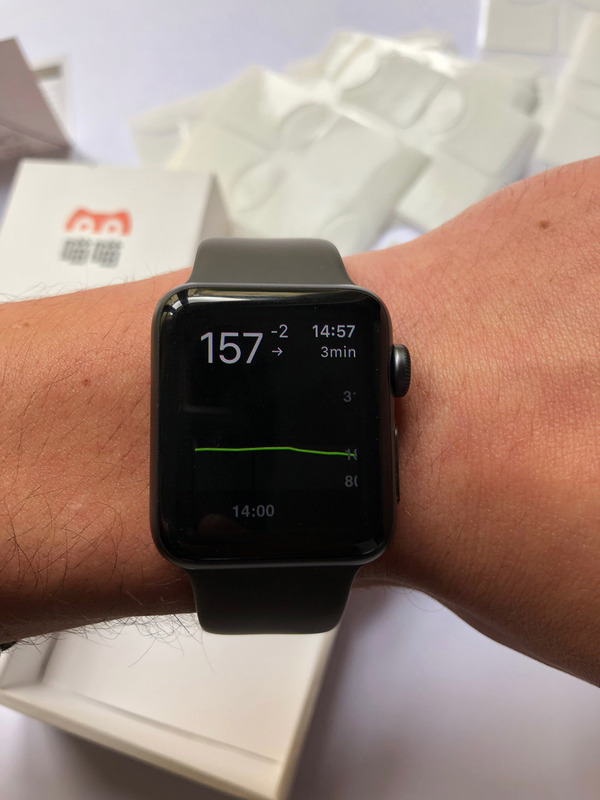 Does MiaoMioa work with the 14 day sensors available in Canada? It says on their website that it doesn’t work with US-14 day sensors. Is that the case with the ones sold in Canada?